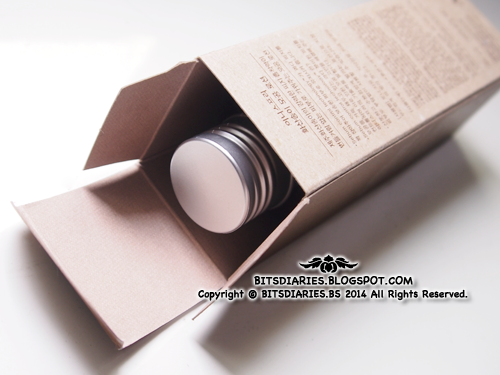 The bottle of lotion is packed in a rectangular paper box made of recycled materials. The bottle itself is made of plastic and comes with an aluminum screw-off cap. 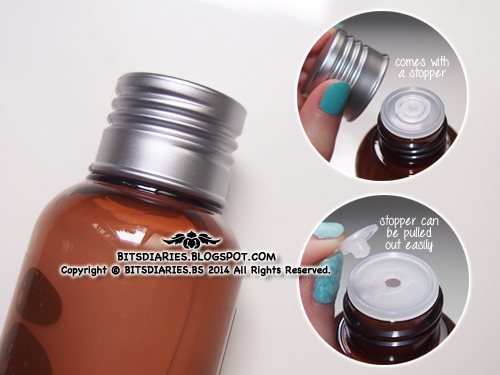 The opening of the bottle is well-sealed with a stopper and the stopper can be pulled out effortlessly. The bottle is semi-squeezable type so some strength is required in order to get the lotion out. It has a watery, serum-like texture and it's lightweight that allows fast absorption without leaving skin feeling greasy or very sticky. The oil control ability of this lotion is high average in my view. For optimum oil-control results, use together with the rest of Jeju Volcanic products. Verdict: Innisfree Jeju Volcanic Pore Lotion is a lightweight moisturizer that effectively controls and balances the sebum production yet leaves (oily) skin feeling refreshed and moisturized. It does not leave a greasy or a very sticky layer after absorption. The lightweight formula and sebum control properties make this lotion a perfect choice for people with oily skin and for summer season. On the down side, it does not provide enough moisture for dry skin in my view. I have oily and combination skin (oily T-zone, dry and normal in other areas). Despite it provides moisture to the skin, I find it is not enough for my dry areas... The dry areas of my skin felt "tight" even though I had applied the lotion. Frankly speaking, after I switched to the Jeju Volcanic skin care line, I get flakiness on my dry areas more often. 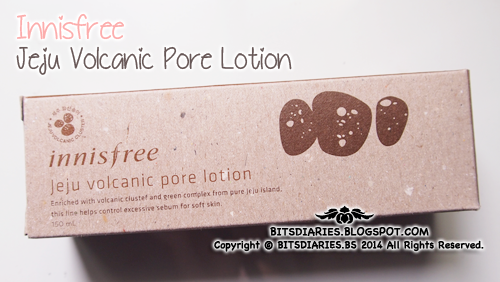 Hence, I concluded that the Jeju Volcanic skin care line is more suitable for oily skin but not so much for dry skin. I highly recommend Jeju Volcanic skin care line to people with oily to super oily skin however, I wouldn't recommend to people with dry skin. Note: If you want to achieve a significant results in pores size and oil control, use this lotion with the rest of the products from the Jeju Volcanic skin care line. Oh, you have the same problem with me. I only have the oily skin at T-zone, too. I am buying this product, but I.wonder if it makes my dry area becoming worse. You still use it for your whole skin face, or just T-zone and use another for dry skin?